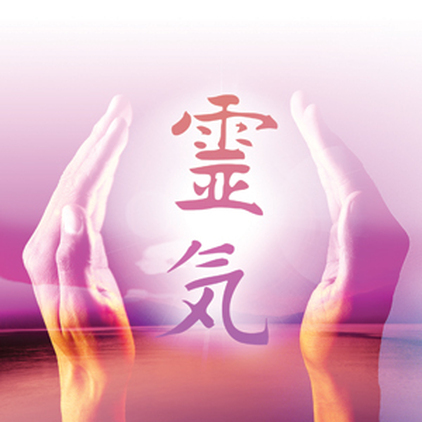 Reiki Level 1 teaches you to become a hands on Reiki practioner whereby you can heal yourself and others. Reiki Level 2 introduces and attunes you to three symbols which enable you to practice distance healing by covering time and space. You have the opportunity to heal yourself and others hands on, and also become a channel to transmit universal energy from a distance to others. After the attunement process you would be able to send healing and heal others who may be far away from you and you cannot meet. This level breaks all constraints that you have so that you are not limited in any manner to do healing. With the addition of the symbols there is greater increase in the energy received and transmitted as well. Resolve your issues about career, finance, work, personal relationships, travel and much more with Reiki Level 2. Receive 3 Attunement symbols which enable you to transmit Reiki over distance, time and space. Make the Reiki Wish Box and use it for your further wish fulfillment. You can write down your intentions and send them Reiki. With Reiki energy and visualization, your wishes can be pursued. Focus and concentration gives amazing results. At the end of this course, you will become an able Reiki Practioner for Level 2. Reiki refers to the Life Force Energy. ‘Rei’–Life Force, divine and ‘Qi’ – Energy. The person becomes a channel to transmit universal energy. This energy is transmitted hands on in Reiki Level 1 and then through symbols in Level 2 and further. This Japanese technique dates back to 1922. The founder of Reiki is Mikao Usui. Learn the 5 principles of Reiki adapted by Mikao Usui from Emperor Meiji. Understand the history of Reiki. Undergo the attunement process done by a master who enables you to initiate and become a channel to transmit universal energy via your hands to different parts of the body. Reiki Level 1 - where hands on training is done on 12 chakra body positions. You will be taught how to heal himself and others by giving hands on healing. Reiki Level 2 - 3 symbols provided to do distance healing. Reiki Level 3A – 2 symbols provided. Learn psychic surgery. Reiki Level 3B – Trainers Level. Attunement for master symbol and train to become a professional Reiki Master. Reiki is a gentle healing process for physical illnesses, emotional imbalance, release of toxins and negativity, healing of the past giving you positive energy, balance and harmony.